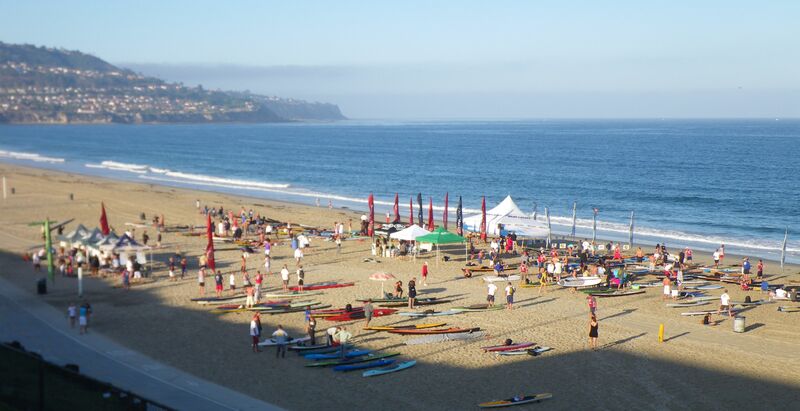 The Hobie Hennesseys US Paddleboard Championships were held in sunny, warm Redondo beach. 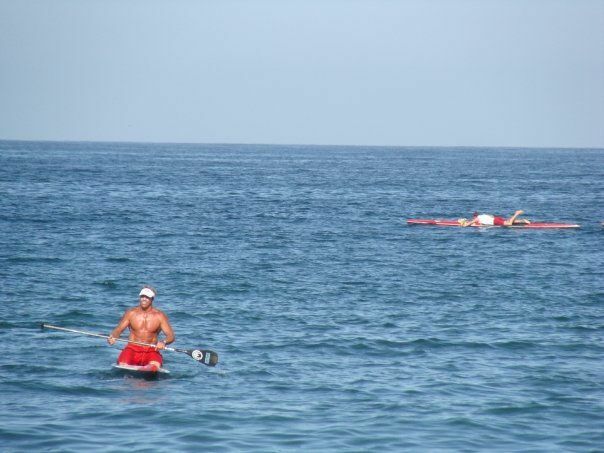 There was a great crowd of prone paddlers and SUP paddlers which continues to grow like wild fire. This was a tough race to get ready for because I was fighting a pinched nerve in my back from a bad wipeout in Tahiti a couple weeks before. 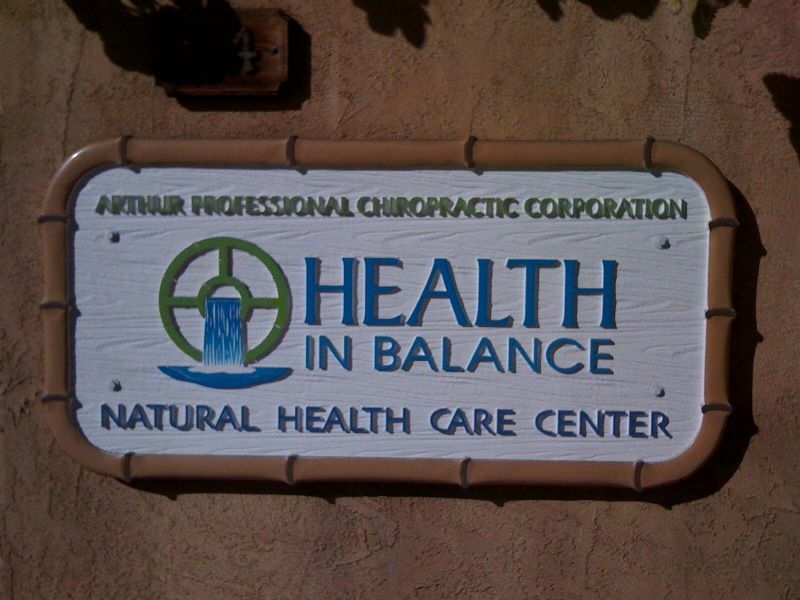 I went to Dr. “G”, Gary Arthur, founder of Health in Balance in Laguna beach, who is a highly respected Chiropractic Kinesiologist that works with several professional athletes in keeping them in peak performance for competition. He helped educate me about my body mechanics and put me through physical therapy and damage control and taught me how to stretch and listen to my body as I train. As an athlete; you are always going hard and sometimes you forget and have to really stop and slow down and listen to your body so you can keep charging at a high level. None the less, I still had a race to do and went for it anyway. 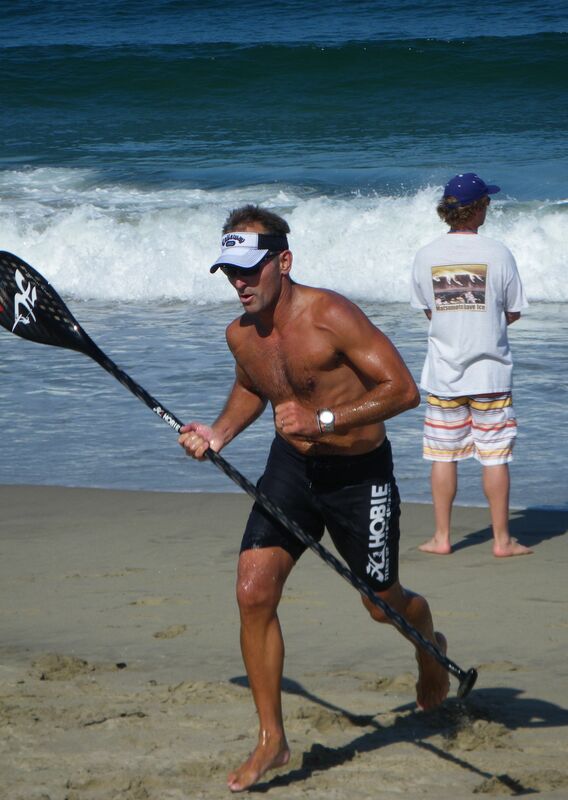 I paddled my Hobie 18′ unlimited race board and a new custom Kialoa race paddle (86″) long. The race started out with the usual rolling start where everybody gets so excited and keeps paddling past the start and then the horn goes and your off. I held the lead for a short while and good old Danny Ching starts grinding next to me and finally passes and I’m playing follow the leader. 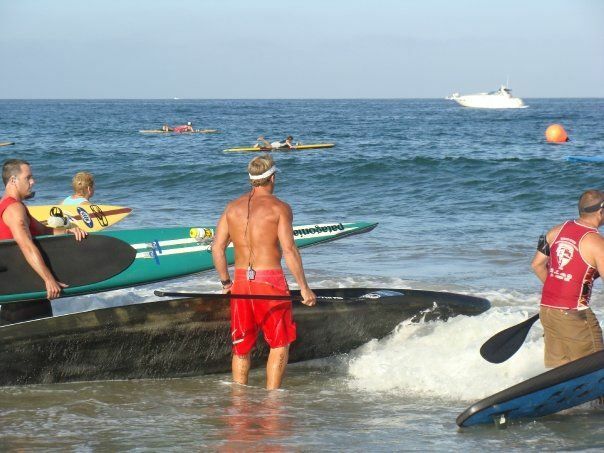 After we round the first buoy, my shoulder starts to go numb and shortly after, then my hand. I struggle with getting a good grip on the paddle as i stroke on the Right side, but I am determined to keep going because that is what your stubborn mind tells you to do. I round the 2nd buoy and really start to notice a lack in board speed as Thomas starts to get closer. I give it all I have just to keep my sanity and start to have problems feeling the paddle every time I switch to my right side. I round the 3rd buoy with one more lap to go and I decide to pull out of the race. This was one of my hardest decisions to make, because you know you can do it yet your body is telling you otherwise and you think about your sponsors and fans and even yourself; how you let everyone down and you failed. This was a very humbling decision that I will never forget, but it was the right decision and I learned a lot about myself and what it takes to stay on top of my game plan and keep myself healthy to fight another day. All of us go through this type of thing in different ways every day and it’s a healthy and exciting learning process that makes life such a great challenge to be the best you can at anything you choose. 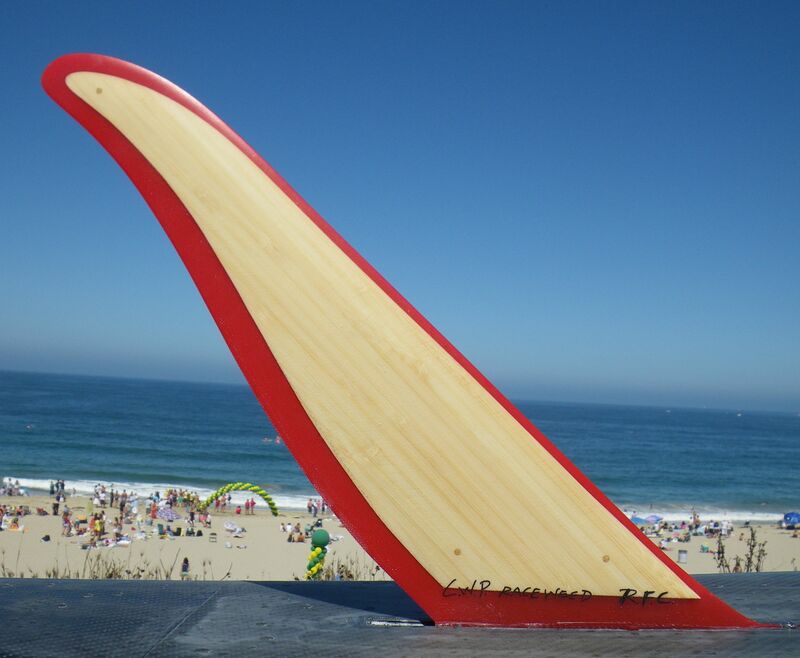 My new Rainbow "Race Weed" racing fin. My mind is always full of butterfly's at race time and all i want to do is get it over with as fast as possible. questioning my decision as I quit early and paddle in. I'm super lucky, to have such great support from all my sponsors and friends. Thomas Shahinian 2nd, Danny Ching 1st and Tom Gallager 3rd; great competition. 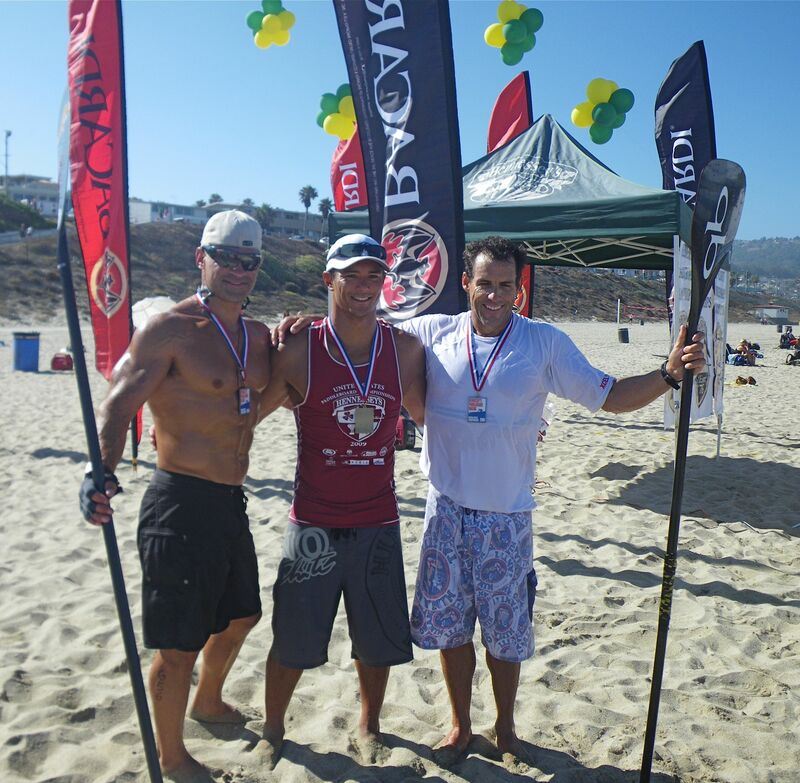 Hobie team rider, Byron Kurt 1st place 12'6 stock SUP class. 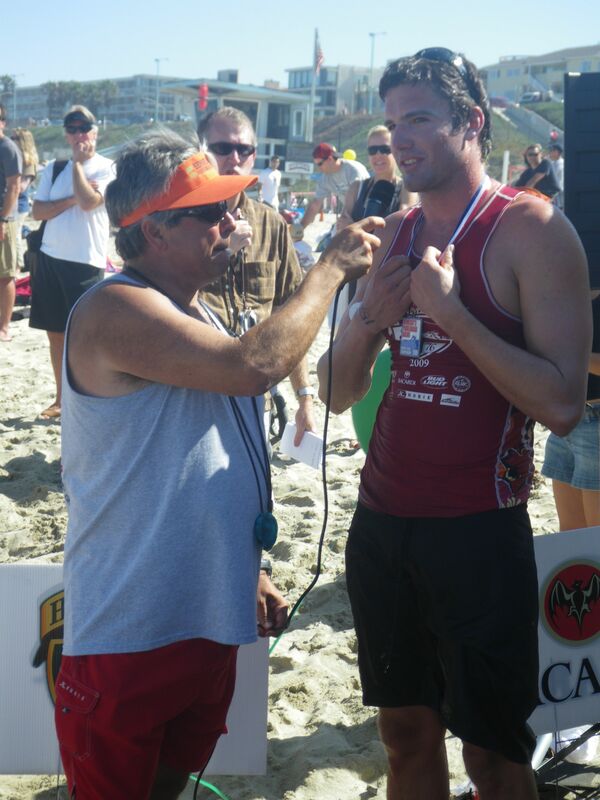 Tyler, 1st prone paddle finisher, interviewed by Tim Ritter. 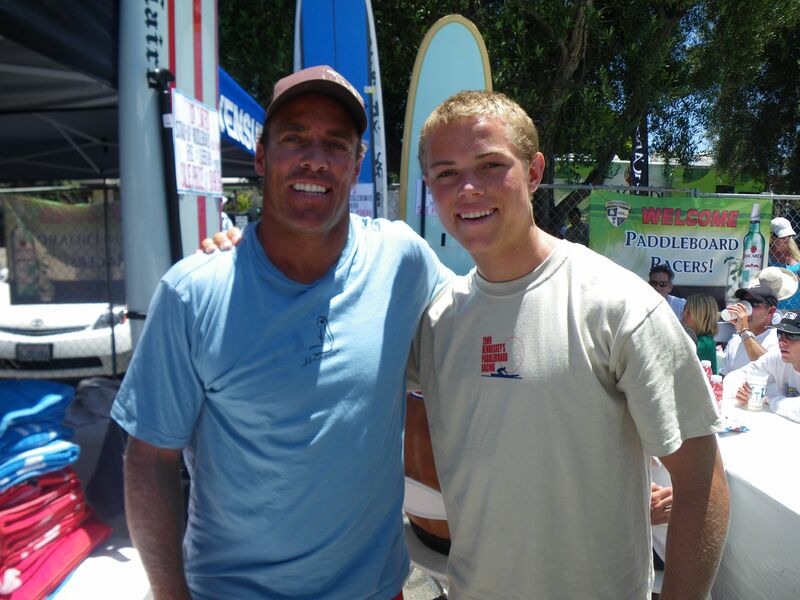 always a pleasure to meet the young guns like Slater Trout from Hawaii.